Oksana Chusovitina's seven Olympic Games is record-setting, as is her nine world medals on vault. 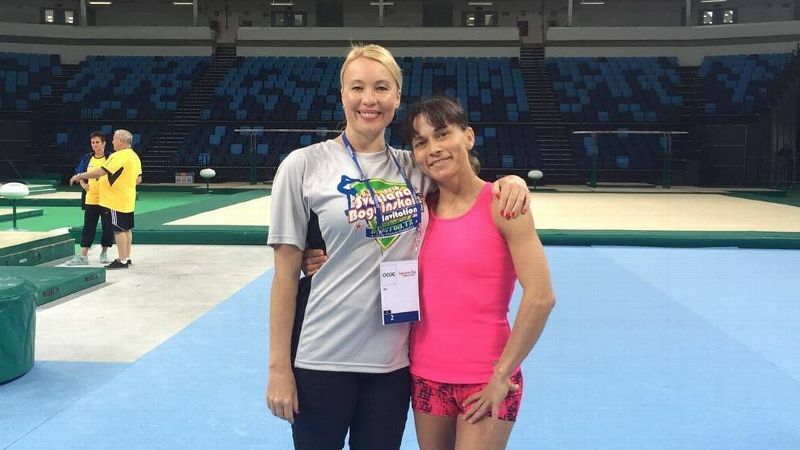 In Rio, she'll become the oldest female gymnast to ever compete at an Olympics. When American gymnastics superstar Simone Biles was born in 1997, Oksana Chusovitina had already won five world medals and an Olympic gold. 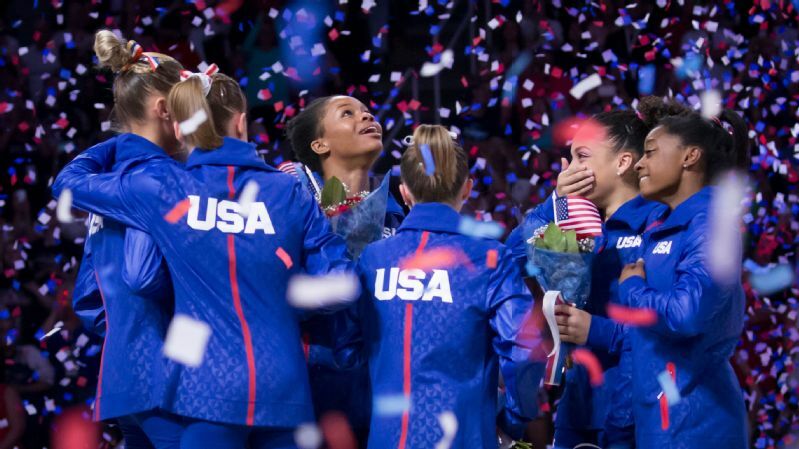 When Biles' teammate Laurie Hernandez was born in 2000, Chusovitina was already the mother of a young son. When Gabby Douglas made her Olympic debut in 2012, Chusovitina was competing in her sixth Games. A list like this could go on all day, because there might be no other athlete in history who has defied the odds, and Father Time, like the 41-year-old Chusovitina. She is in Rio for her unprecedented seventh Olympics. Aly Raisman, the U.S. team's captain, is 22 years old, and she's returning for her second Olympic Games. Her teammates refer to her as "Grandma Aly" because of her age and habits. And while she may be considered old in the sport, she has quite a ways to go if she wants to match Chusovitina as the oldest woman to ever compete at the Olympics in gymnastics. Chusovitina was born in 1975 in what is now Uzbekistan, and she learned gymnastics through training in the rigid Soviet Union system. She won the all-around at her first major competition -- the USSR's junior national championships -- as a 13-year-old in 1988. In 1991, at her first world championships, she earned three medals, including the gold on floor. To win that title, she mounted with a full-twisting double layout -- a move so difficult that it was named after her. 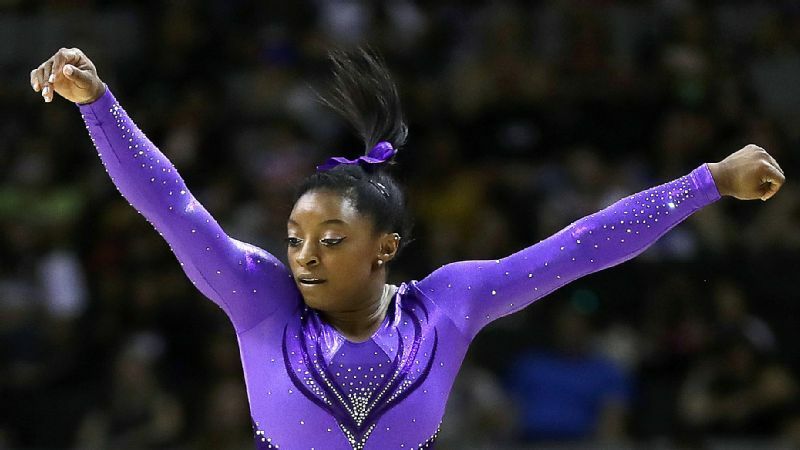 It's still considered so hard that Biles, the favorite to win the 2016 Olympic title on floor, will use the same skill in her first tumbling pass -- 25 years later. Ironically, though, Chusovitina thought her career might be over in 1991 after the fall of the Soviet Union. Uzbekistan was suddenly an independent country -- without the resources needed for developing elite gymnasts. 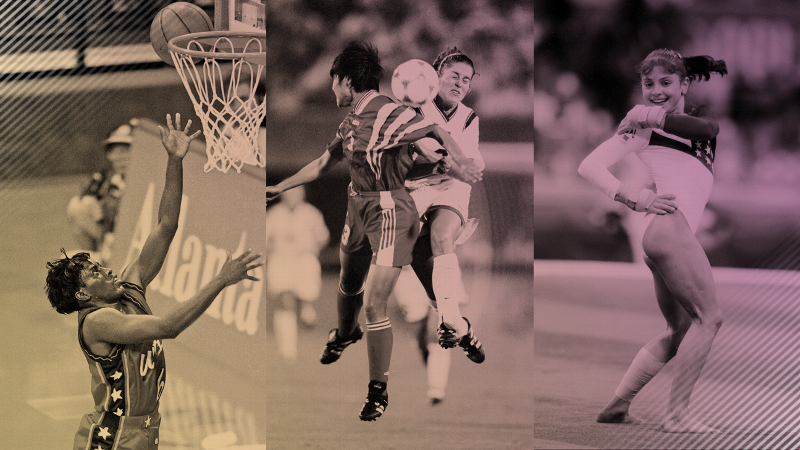 A Unified Team was created for athletes from the former Soviet nations for the 1992 Barcelona Games, and Chusovitina made her first Olympic team in 1992. Standing at the opening ceremony with her teammates remains her favorite Olympic moment to this day. "It was just so amazing to see with your own eyes," she recalled, speaking through her translator, Svetlana Boguinskaia, who is a longtime friend, a teammate from the 1992 team and now an assistant coach for Chusovitina. "When I saw the person with the arrow shoot the arrow into the Olympic rings and they went on fire as the ceremony started, I couldn't believe it. It's still my best memory," Chusovitina added. Despite the political turmoil and uncertainty at home, the Unified Team won the gold medal. And it was the beginning of one of the most storied Olympic careers of all time -- one spanning 24 years (and counting) and three countries. It's a career even her peers can't comprehend. "I can't even fathom how it's possible, and I'm 24," said retired gymnast Shawn Johnson, who won gold in the 2008 Olympic balance beam. 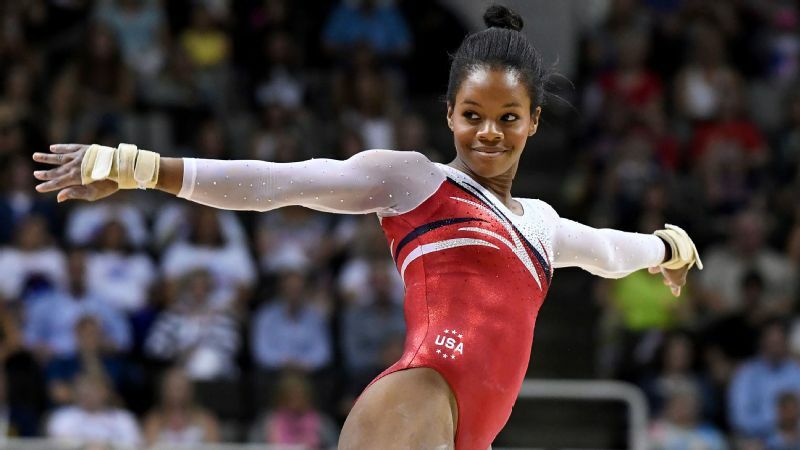 "I would compare her career overall to how amazingly good Simone [Biles] is. Just like how people are assuming at this point Simone will win all-around gold in Rio, it's assumed every year Oksana will be there. And it's assumed every year she's going to medal. "No one even knows how old she is anymore because it seems like she's been to the last gazillion Olympics. She's incredible. She is a legend." After her successful first Olympics, Chusovitina returned to Uzbekistan and began training and competing for the new nation. 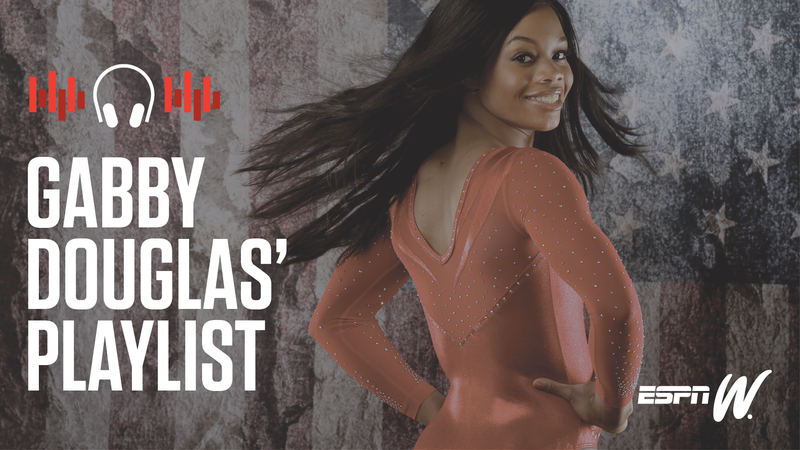 She competed at the 1996, 2000 and 2004 Olympics for her native land, and won five world medals on vault during that time -- including the gold medal on vault at the 2003 world championships. She became a beloved figure in her home country, earning the title of "Honored Athlete of the Republic of Uzbekistan," and she was even commemorated on a postal stamp in 2001. Chusovitina married fellow countryman and Olympic wrestler Bakhodir Kurbanov in 1997, and the two welcomed their first and only child, a son named Alisher, in November of 1999 -- less than a year before the Sydney Games. While Chusovitina managed to balance motherhood with training and competing, Alisher was diagnosed with leukemia in 2002. The distraught family moved to Cologne, Germany, for his treatment. 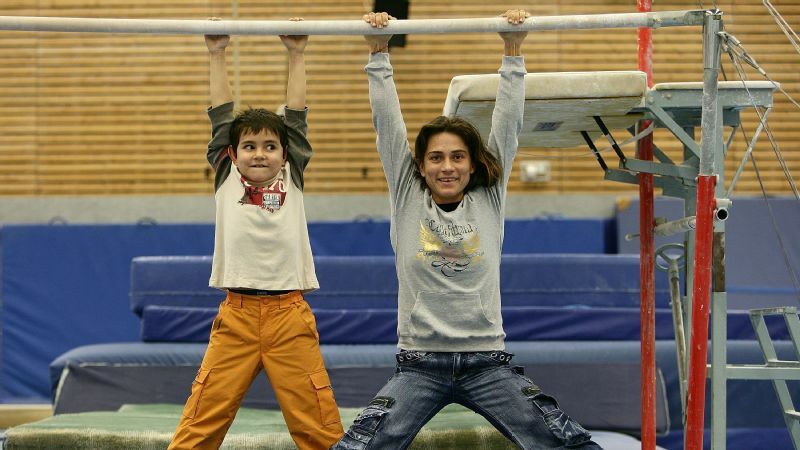 Oksana Chusotivina began competing for Germany in 2006, while her son, Alisher, now 16, received treatment for leukemia. Today, Alisher is cancer free. While there, Chusovitina began training with the German national team and ultimately applied for citizenship. In 2006, as her son continued his battle against cancer, she began officially competing for her adopted country. During the Beijing Olympic Games in 2008, the then-33-year-old won her first individual Olympic medal -- a silver on the vault. But despite the "exciting" accomplishment, Chusovitina's best and most proud moment came when she returned home. Shortly after the Games, the doctor called and told her Alisher was finally leukemia free. "It was the greatest news of all," she said. "Medals, no medals, it really doesn't matter when you hear this news. [No] medal could compare to this type of phone call. When your son is healthy, you can't compare any athletic achievements with that." At night I told everyone I retired, and the next morning I woke up and changed my mind. Chusovitina contemplated retiring soon after, but ultimately couldn't stay away from the sport. With the passion and drive still very much alive, she continued to train and compete with her German teammates. 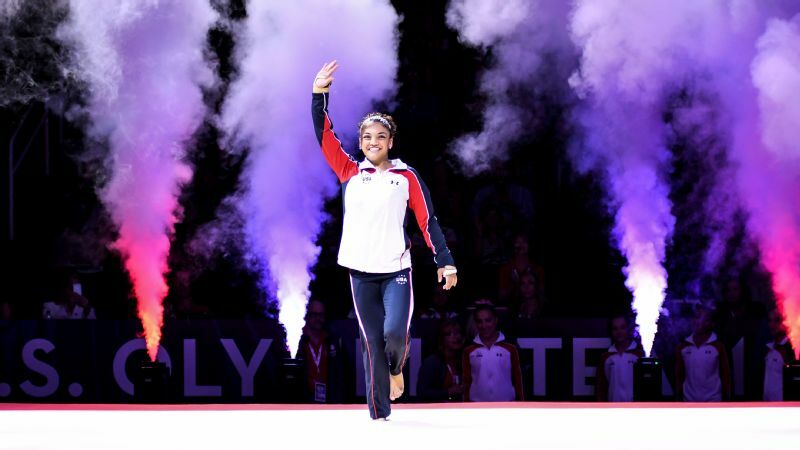 It was clearly the right move -- she nabbed silver medals on vault at the 2011 and 2012 European Championships and at the 2011 world championships, setting the record for the most world medals (nine) earned in any individual event. While the age gap between her and the competition continued to grow, Chusovitina remained a rare constant in a sport catered to young women and teenagers. During the 2012 Olympics in London -- her sixth for those struggling to keep count -- Chusovitina announced it would be her last, and she was retiring immediately following the competition. But the decision didn't stick for long, thanks in part to a disappointing fifth-place finish on vault. "At night, I told everyone I retired, and the next morning I woke up and changed my mind," she said. "That's literally what happened. I said I retired, and the next day I woke up, and I was lying down in my bed and thinking 'I didn't accomplish everything I wanted to accomplish and I still feel I can do a little bit more.' And that's why I started training for my next Olympics because I still feel I can do more." Now once again representing Uzbekistan, Chusovitina has spent the past four years preparing for Rio. Due to her age and injury concerns, she isn't in the gym as much as most of her competitors these days. "At this time, I don't need much physical training," she said. "I do a lot of mental training. I have muscle memory that my body has developed over the years. I typically put in two to two-and-a-half hours in the gym. "And then I visualize exactly how the skill needs to be done. I do this in my head, and when I get to the gym, all the mental preparation that I did after breakfast or just walking around, it just transfers to the gym and, if I'm vaulting, I know exactly what my body needs to be doing. I know exactly what I need to be doing to get a better execution or a better height or a better landing." Oksana Chusovitina (right) and Svetlana Boguinskaia were teammates at the 1992 Olympics, and Boguinskaia now helps coach Chusovitina. She is able to spend the rest of her time at home with her husband and now-16-year-old son. The balance between gymnastics and her personal life is a healthy one, and that keeps her engaged and motivated in every aspect of her life. While maintaining the physical strength and ability for the sport is hard enough, it's keeping the passion alive for so many years that is the hardest, says Boguinskaia, who retired after her third Olympic appearance in 1996 -- a notably long career as well. "My body, my mind, were ready after three Olympics to be done. I did everything I had," Boguinskaia said. "And that's what I think is holding Oksana back -- she definitely thinks she can do more, that she can be better. "And you know what? She probably can. Her first Olympic medal was a gold at the 1992 Olympics, and her second Olympic medal was at her fifth Olympics. It means she doesn't get worse, she gets better with age. And that's why she's still there competing." Joined by Boguinskaia, Chusovitina spent her final weeks preparing for the Games at the International Gymnastics Camp in Stroudsburg, Pennsylvania. While she hopes to make the medal podium in Brazil, during the week before leaving for the Games, her immediate goals were slightly more modest. "I just want to get there!" she exclaimed. "At my age -- as you know, I'm not a spring chicken anymore -- two weeks is a long time. Anything can happen. So my goal right now is just to actually get to Rio, and make sure I am in shape and make sure there's no injuries and then we will see. " Described as a "practical joker" with an incredible sense of humor, Chusovitina is adored by teammates and opponents alike. Despite the rigid nature of the sport, she is "always joking around and playing pranks on everyone around her," Boguinskaia said. "People who haven't met her before are always surprised at how funny she is. We're sharing a room right now, and if I go to turn a light off a little bit before her, she always goes, 'Oh yes, yes, yes, the old grandma has to go to bed.' She's 41, and I'm 43, and she is always reminding me of the two-year age difference." Despite the jokes, Chusovitina credits Boguinskaia for keeping her sane during the Olympic lead-up, and appreciates having someone her own age (or two years older) to talk to. The conversations revolve around their children, politics and fashion -- anything but gymnastics itself. It's a far cry from many of her younger peers who live, sleep and breathe the sport. As one of just a few women in the world to ever compete the famed, and controversial, Produnova vault, Chusovitina is expected to attempt the skill in Rio and has been practicing it regularly. Nicknamed the "Vault of Death," it's known for its high degree of difficulty and subsequent high degree of danger if not done correctly. It requires the gymnast to perform a front handspring and then two front flips off the table. When not executed perfectly, a gymnast can land on her back, or worse. But if she can land on her feet, the vault comes with a 7.0 difficulty score -- compared to the current 6.3 value of the Amanar vault used by gymnasts like Biles and McKayla Maroney in 2012 -- and it can instantly put one in medal contention. When asked recently by The New Yorker if she would ever attempt the vault, Biles responded flatly, "I'm not trying to die." Despite Chusovitina's boldness on her favorite apparatus, it seems she is not quite as decisive on her future. In typical Chusovitina fashion, she is uncertain if this will be her final Olympics ("I'm not going to say yes, I'm not going to say no"). But no matter what happens, she knows she has given the sport everything she has. "I think I really don't have to leave anything behind," she said, reflecting on her career. "I feel like every year that I'm competing, I'm leaving a little part of myself behind. People will already remember me, and they'll remember me for a long time because of my longevity. I think the longevity is the best thing I can leave behind. "I already have my world medals, my Olympic medals and I really don't need to leave anything else except for my love for the sport." It's hard to think anyone will ever forget her. Then again, if she keeps competing, it will be impossible to.